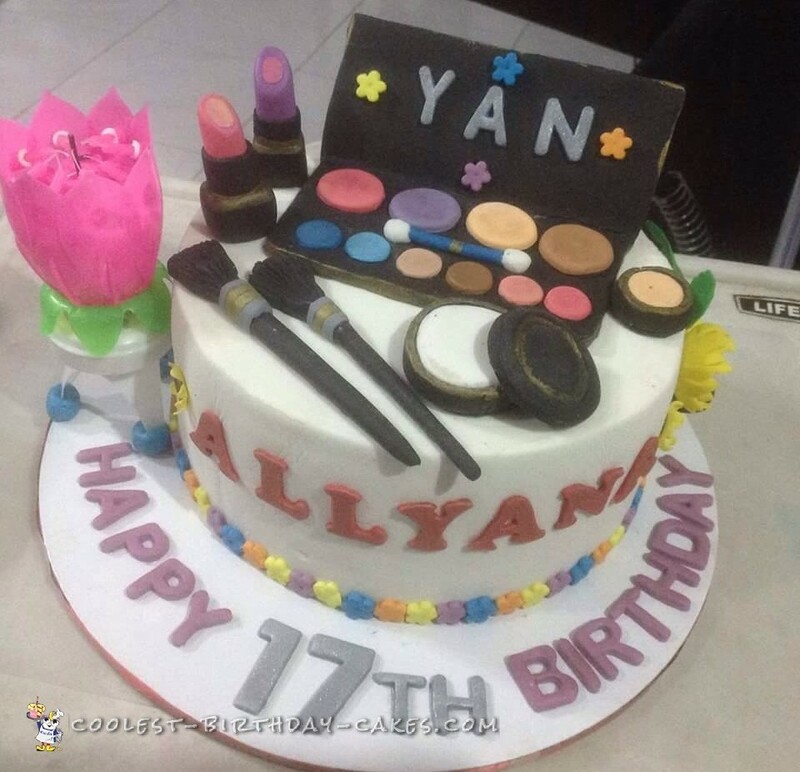 I just made this cake for my Youngest Daughter Allyana during her 17th Birthday, she’s really dreaming of having a cake like this kind because she really loves make – up. During her free time, she always does her make-up. Practicing different looks. I’m very happy seeing her smile and how happy she was upon seeing her Birthday cake. This, I can say, is made out of unconditional love for my daughter.